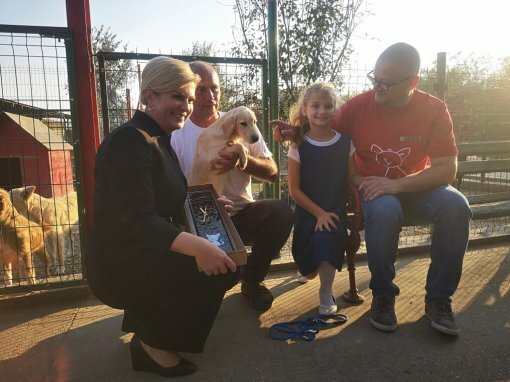 To the joy of many, the President of the Republic of Croatia, mrs. Kolinda Grabar-Kitarović, adopted a young female dog named Kika from 'Animal shelter Virovitica', sending a humane message to the citizens of Croatia. The volunteers in the shelter are still very excited about the news. Kika still awaits sterilisation, after which she is headed to her new home at Pantovčak, the presidential residence. 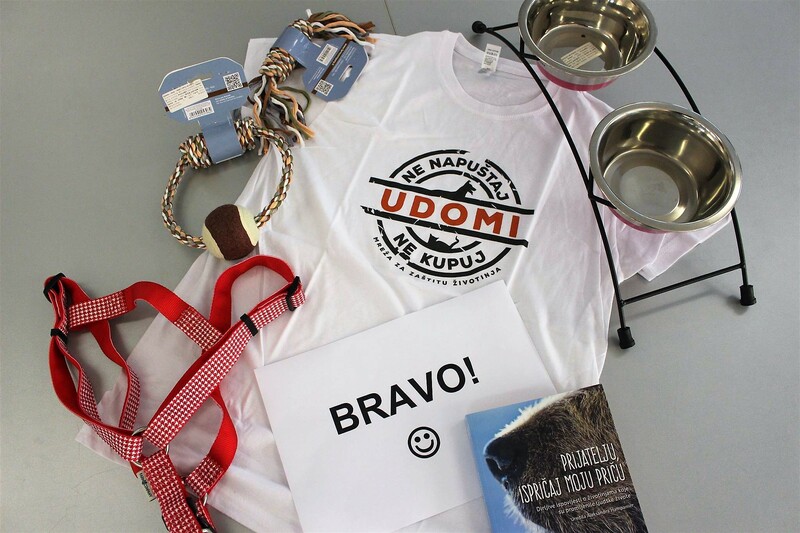 As a sign of appreciation for the President's noble act, organization Animal Friends Croatia are sending gifts for Kika and the President, which include toys, dog bowls, dog harness and a t-shirt with Animal Protection Web logo. Animal Friends Croatia believe that President's gesture will strongly affect and promote adoption of animals from shelters, which are crowded with lovely but abandoned dogs and cats, and encourage cities and municipalities to implement dog microchipping control and mandatory sterilization as measures of controling dog and cat populations which is required by the new Animal Protection Act. Luka Oman, the president of Animal Friends Croatia organisation and a special advisor of the Croatian Minister of agriculture, stated: "We believe that the news of the President's noble act will soon spread outside the country. There are currently thousands of dogs waiting to be adopted in Croatia, but if everyone chose to adopt instead of shop for a dog, as the President did, all the shelters would soon be empty." Stela Cota, the head of Animal Protection Web, which rallies 43 animal protection organizations from all over the country, added: "This is a wonderful act of support to adoption, responsible guardianship, microchipping, prescribing sterilization and all the organisations that work for the wellfare of animals. We thank the President in the name of Animal Protection Web and invite everyone to follow her lead and choose to adopt, not shop." Minister of agriculture and the vice president of Croatian Government, mr. Tomislav Tolušić was also present during the President's visit, and said that the shelter in Virovitica is a clear example of how Animal Protection Act can and should be implemented. Mr. Dražen Majetić from the shelter said: "This is an act of recognition to the shelter in Virovitica, as well as all other 'no kill' shelters, organisations and volunteers that work hard every day to find homes to all of the animals they care for, and educate citizens on the necessity of adoption and castration. Also, this proves that love cannot be bought, it simply happens." More information on the advantages of adoption and the good measures prescribed by the Animal Protection Act can be found HERE.